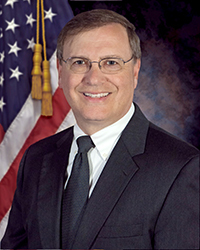 Chuck Rosenberg has stepped down from his post, citing concerns over President Trump’s lack of respect for the law. The acting head of the Drug Enforcement Administration (DEA) has resigned from his post, convinced that President Donald Trump has little respect for the law. Chuck Rosenberg, a veteran attorney and law enforcement official, had recently confronted Justice Department leaders over their deliberate block of marijuana research. He announced he was stepping down as of October 1 through an email to his staff. According to The New York Times, Rosenberg had grown disillusioned with Trump injecting the White House into law enforcement matters. Specifically, Rosenberg was disturbed after the president fired FBI director James B. Comey in May, and was again bothered in June when in a speech he encouraged law enforcement officers to be aggressive while handling crime suspects. Rosenberg immediately pushed back on Trump’s comments in an email to DEA employees, telling them they should not mistreat suspects. Rosenberg was a holdover from President Barack Obama’s administration and had been running the agency since 2015. Under President George W. Bush, he had served as U.S. attorney in southern Texas and eastern Virginia. He had previously served as chief of staff to Comey. His absence could put more pressure on the Trump administration, which eight months in has yet to nominate a candidate to head the DEA. In recent months, however, Rosenberg had confronted the Justice Department and U.S. Attorney General Jeff Sessions, who had been accused of deliberately blocking more than two dozen applications to study cannabis. In a letter to the governors of Rhode Island and Washington State, Rosenberg said the DEA would “fully support and promote legitimate research regarding marijuana and its constituents parts” and reiterated that the agency had never denied a marijuana research application. Advocates hope the change could serve as a blank slate for the agency and an opportunity to shift its enforcement efforts toward the nation’s deadly opioid epidemic rather than targeting the cannabis industry and its consumers. Nearly 30 states allow marijuana for medical purposes, and eight have passed laws legalizing its recreational use. Cannabidiol (CBD) hemp oil, made from cannabis parts not listed in the Controlled Substances Act, are available in most major markets in the U.S. Learn more about U.S. cannabis laws through our education page. Keep up with the cannabis industry by regularly visiting our news page.